Are you ready for this new week? Summer’s almost over, at least, for the upper states. Here in Texas, summer lasts until at least October. I could actually have a pool party if the weather held out that long. We’ll see. Last year I got strep throat. . .I don’t want that again. 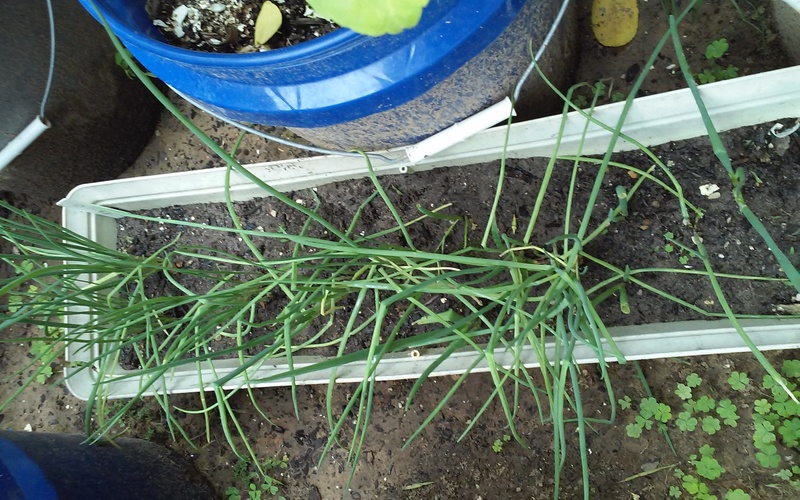 The rains have returned to Houston this week, and while it’s not really “cool,” it is a little “less hot.” In 30 days the temperatures will go down about 10 degrees, and my plants will be happy about that. Have you been watching Giada de Laurentiis’ new show, Giada in Italy? Giada took her daughter Jade on vacation in Positano, Italy, and they made a new series out of it. Or something like that. She’s cooking Italian food IN Italy, many with an American or California twist. Today’s show was cooking at a friend’s restaurant in the area, and there was a lot of Italian spoken while they worked. They cooked one of his signature dishes, and one of hers from her Las Vegas restaurant, plus her Sin City Cookies, also served in Vegas. Conveniently, Giada’s mother, stepfather, daughter and a couple of other close friends were there during filming, so they got a thumbs-up from everyone. Yes, Giada is waiting tables in this little place, too. One thing Giada pointed out while she was making the cookies: chocolate chip cookies are an American creation. I knew that, of course, but she was serving them to Italians in a small town on the Amalfi Coast of Italy. There was no reaction from any of the local folks who had the cookies, but if Giada served them with her 10,000 megawatt smile, they didn’t pay much attention. Speaking of the cookies. . .Giada used a stand mixer to make the cookie dough. . .and you know, it sure looked familiar. So I did a little clicking around, and guess what I found? Giada’s set list–and in it, no kidding, was SMEG! The stand mixer was a SMEG, but did not have the name stenciled across the side. Either they don’t sell it that way in Italy, it was specially made for Giada, or the props department removed the lettering and painted over it. But it was, indeed, a SMEG. It’s what happens when you pay attention. Anyway. . . . The garden’s doing OK–I’ve picked a number of Anaheim/Hatch chiles, and darnit, I found one more today while I was taking pictures. Maybe some of the grapefruit salsa will be in my future this week. 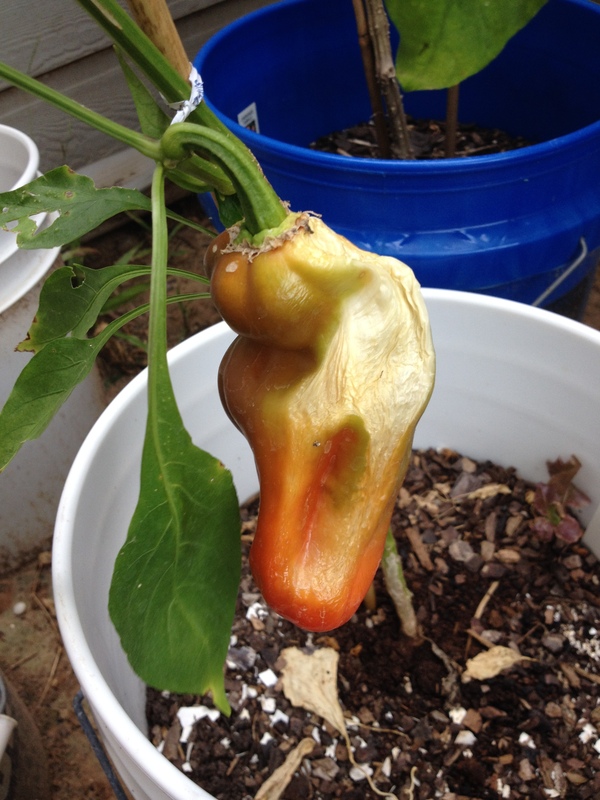 The red bell pepper that almost was. The big white, wrinkled spot on the right is where the sun scorched it. I did, of course, water it, but heat indexes of 121 were just too much for it. I’ve never seen that happen. So, I’ll let it ripen a bit more and see what happens next. Might be just that side–and if the rest of it is OK to use, it’ll go into a pot of chili. 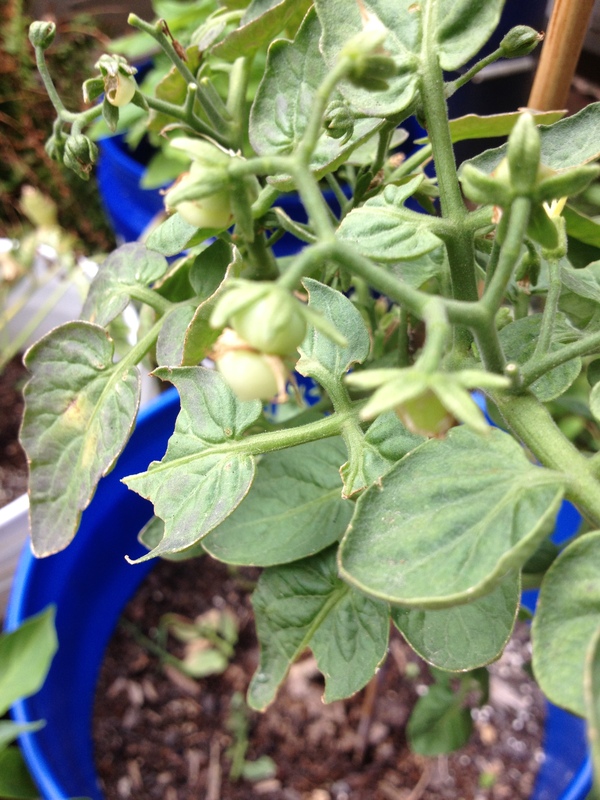 There are flowers on the plant, so I could see more peppers, but like anything else in a garden, you wait for it. That’s actually a little red tomato, but for some reason, it looks like a double. Go figure. It’s one of the four organics I bought in the spring. There are several little green orbs, but this one. . .well, if it matures properly, I’ll happily eat it. The Sungold has about a dozen orbs, and plenty of flowers behind them. Sungold is a prolific-producing hybrid, and it’s been the one I’ve picked most often this summer. The Cherokee Purple and Chocolate Cherry haven’t done anything but sprout more leaves, so I guess it’s done–but I’ll wait and see on them, too. 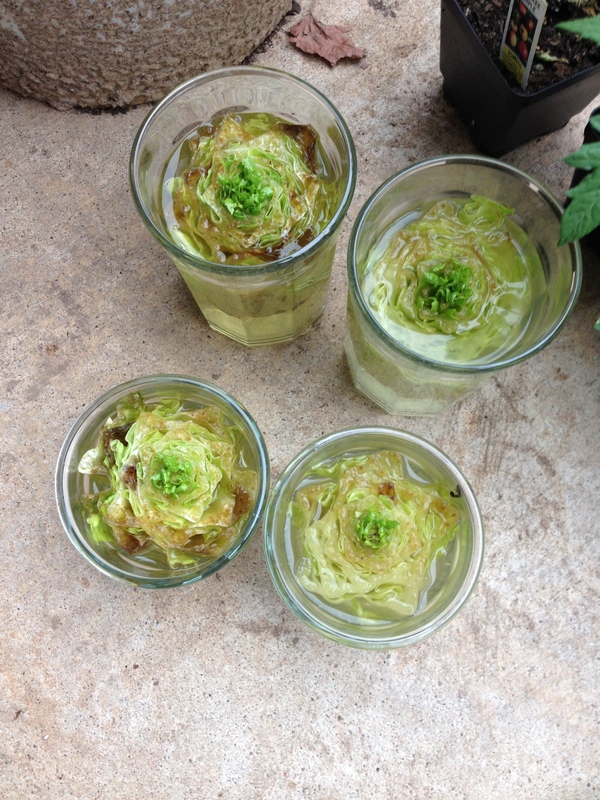 Basil, celery and. . .weeds. If it nets me one or two more pots of pesto, it’s worth the wait. Fingers crossed. They just sit there, not growing, just sitting there. This one was about nine inches long–much bigger than the ones I get, which are about as big as my index finger. I also don’t leave them on the plant too long, or they’ll get red–and hot. Kroger gets into the Hatch act. Central Market posted some pictures on Facebook this weekend of the farm land in Hatch, NM. Friend of the blog BL, who I used to work with at Boeing, lives in Las Cruces, NM, and when I posted the pictures on my wall, he said that he lives about 20 miles away; it’s just farm land. But hey–they grow these beautiful peppers there, so why not post them? I didn’t buy any, although I thought about it. I mean, they grow in my back garden. . .maybe next week. There are 100 recipes in Central Market’s database, and I went looking for a recipe to use the ones that have been in my fridge for a while, waiting on me to finish thinking about what to do with them. 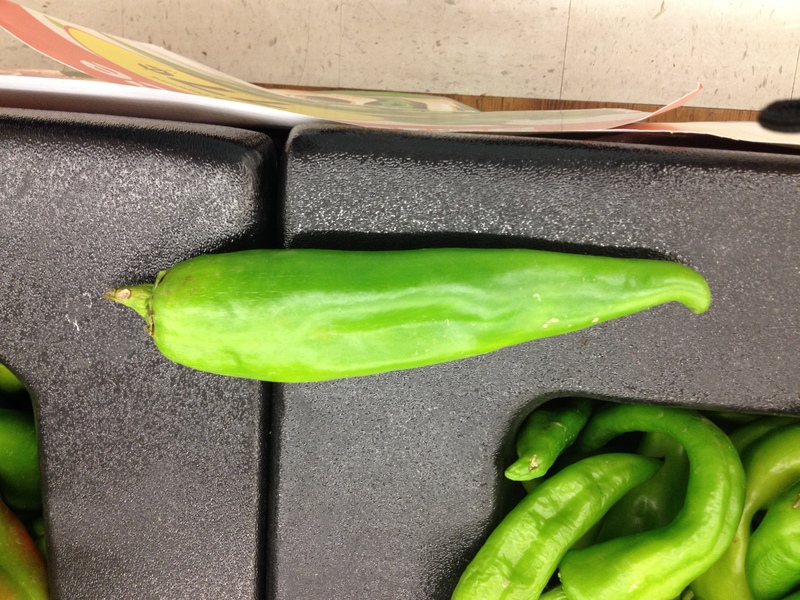 I also had two jalapeno peppers, also grown in the back garden, about the size of the top digit of my thumb. Here’s a primer for “first time Hatchers,” if you’re interested, too. But with the second harvest coming soon for these peppers, I decided to take the pepper by the horns and do something. They’re cooling, and the dampness helps the peel come off. If you don’t, you end up with a hard-to-chew outer layer–like the shipping plastic on your smartphone screen, or the keypad on that new microwave oven. It’s easy to remove once they’re cool enough to handle. This is one I peeled. 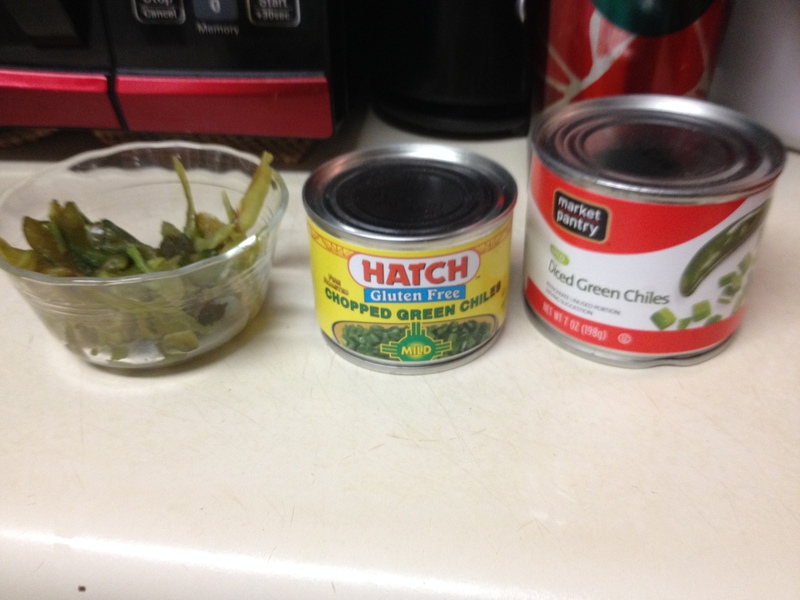 Now, to give you some perspective on how much I ended up with, two cans of the same types of roasted chili–one from Target, a 7-ounce can, and a 4-ounce can of Hatch brand chiles (grown and processed in New Mexico), and the chiles I roasted and peeled. Good thing you can buy them canned, right? 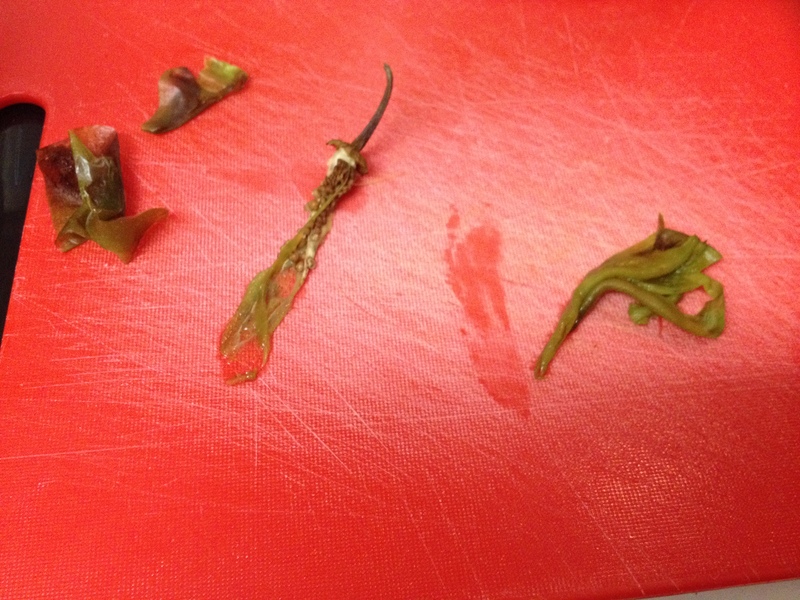 Oh, and I’ll repeat my warning that I posted months ago: when you are handling chiles, do wear gloves. 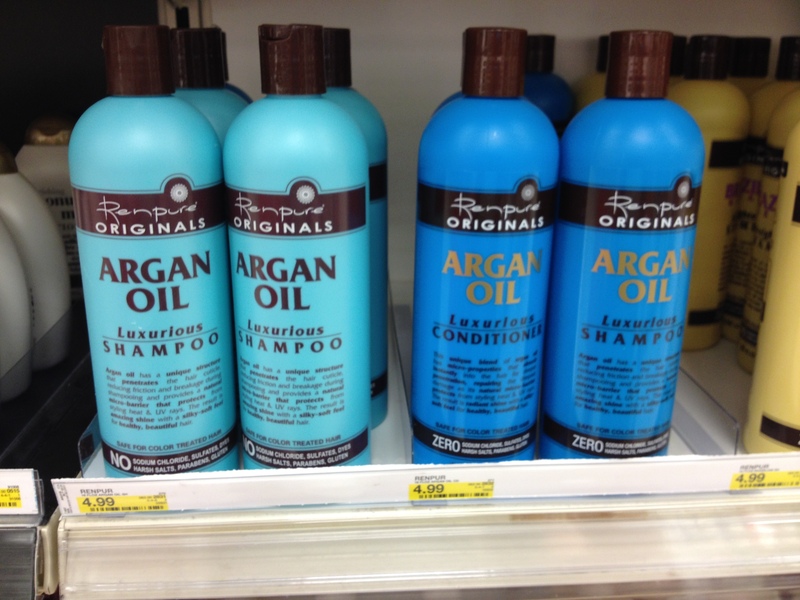 You can get a box of 100 for about $8 at Sally Beauty Supply, don’t worry about what color they are. Seriously–you do not want to be fumbling around trying to put milk in the eyedropper while your eye is burning. Dairy milk, that’s the only cure I could find on an iPhone during Christmas when I forgot to do it earlier. At least I didn’t rub my eyes this time. The heat is concentrated in the seeds and ribs, but you can still end up burning your eyes if you do something wrong. I speak from experience. Only bell peppers won’t burn you alive, OK? WEAR GLOVES WHEN HANDLING PEPPERS. 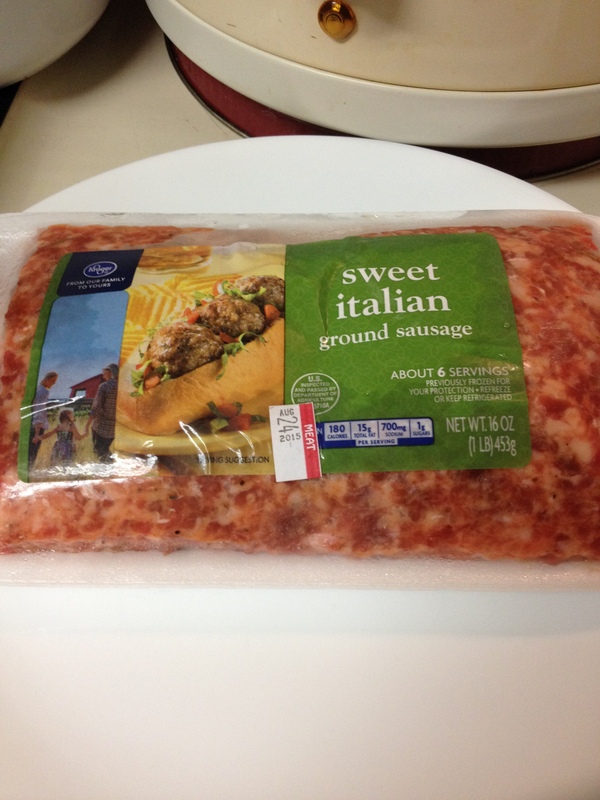 Just plain old Italian sausage. Colby’s good, like a milder Cheddar; but Cheddar’s good, too. Into the Crock Pot it goes! And cooked for four hours. I’ll eat it all week, soon as I pack it up into containers so I can soak the Crock Pot stoneware thingy. 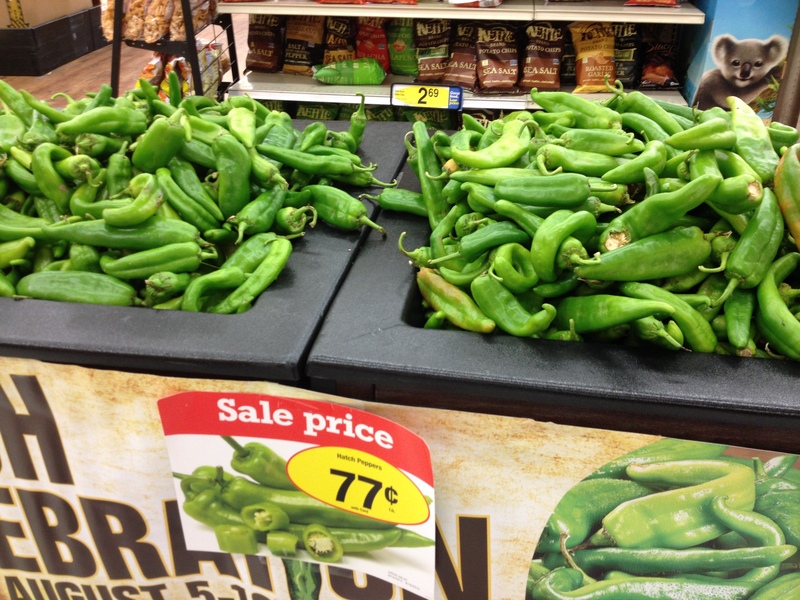 If you’re thinking about Hatch chiles, you’d better hurry up–pay 77 cents a pound now for US-grown chiles, or $1.98 a pound later for Mexico-grown chiles (which are available year-round.) 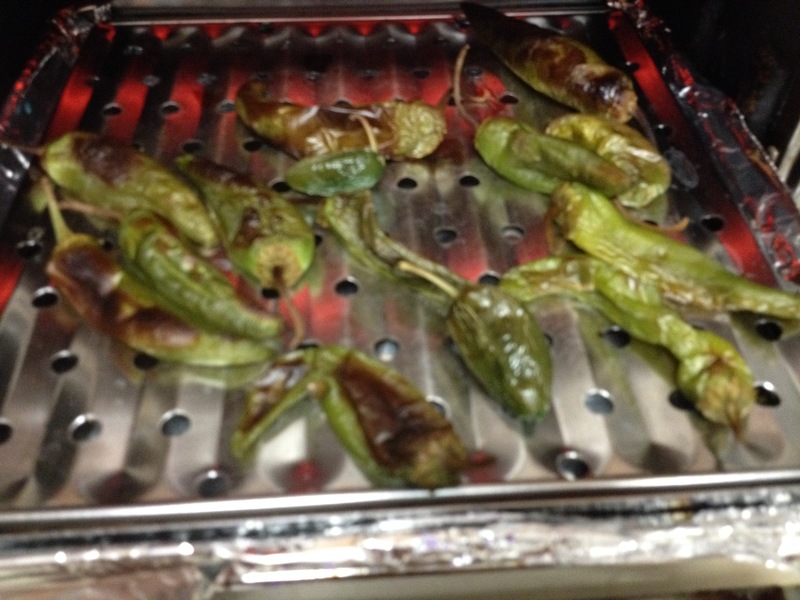 Hatch chiles don’t last long, so get a move on. There are recipes on Central Market’s website, or you can create your own. Next post, I’ll tell you about the big fish that the GER brought me last week. For now, I’ve got to get to bed. Have I got some updates for you–with pictures. Real pictures with the digital camera, not with the iPhone. Yes, this includes pizza, and it IS gluten-free, but stick with me, so I can explain the entire process. For whatever reason, I was able to select and load all the pictures with one click of a button, instead of one at a time like I normally do. I was amazed that all I had to do was let them upload, and they did, although it took a while. Maybe I’ll use the digital camera more often. You know, I haven’t had watermelon in a long time. 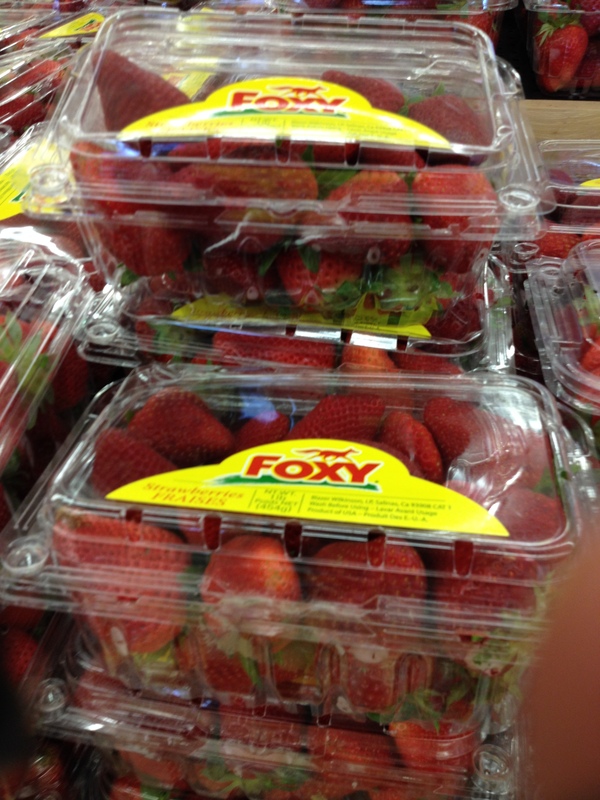 I think I should get one–maybe a bigger one and cut it into pieces to nibble on all day. (Have I just created “The Watermelon Diet?”) I love watermelon, always have. Musician Herbie Hancock even wrote a cool jazz instrumental called Watermelon Man. (The whole song is there, but the comments can be a bit rude.) I know there’s a whole ridiculous PC thing about watermelons, but. . .watermelon is good. People from all walks of life like to eat. . .watermelon. Maybe it’s just a southern thing, I don’t know. But is that so bad? If you don’t like watermelon, that’s OK–just don’t eat it. More for the rest of us who really like (or just LOVE) watermelon. The HeatCageKitchen garden looks like a jungle, particularly the tomato bushes, which are in excess of six feet tall, but not terribly productive. 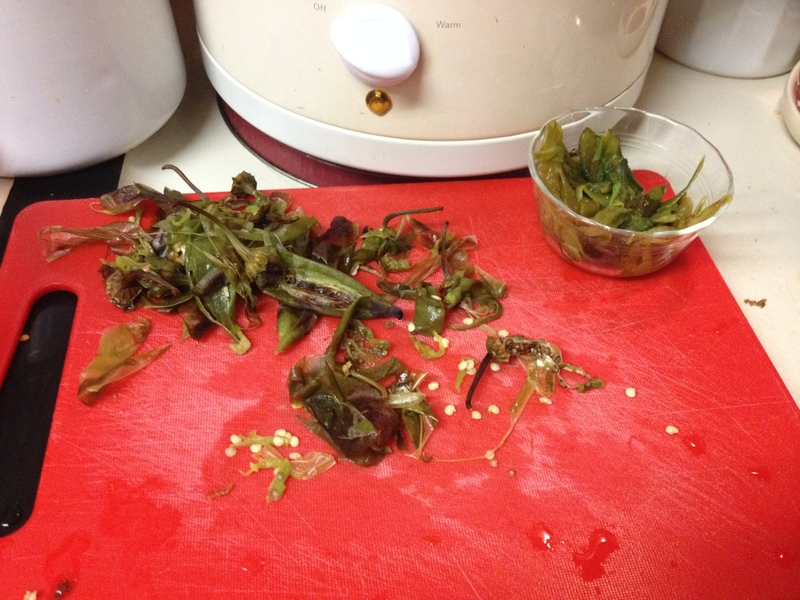 Last week was the July gardening lecture at the library, and they gave us some pepper plants. I got two, and intended to give one to the GER, but being the fussbudget that he is, he declined it. 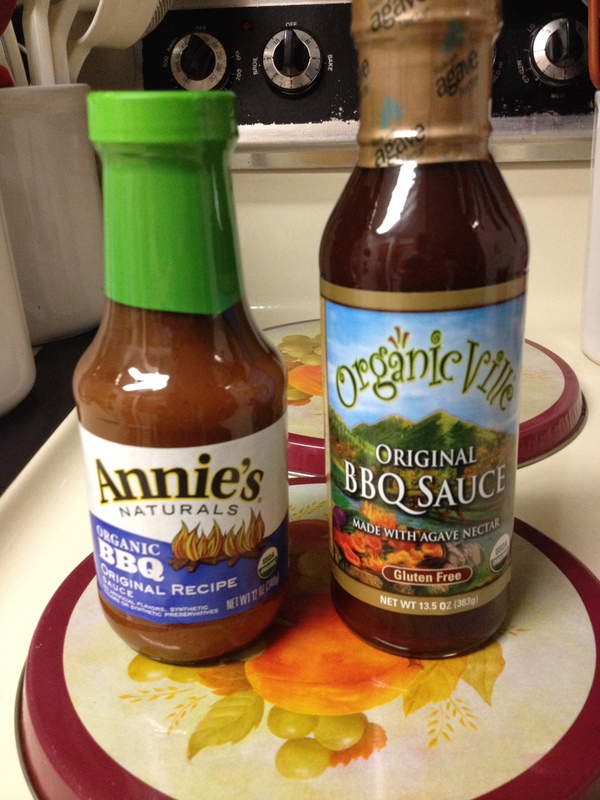 So Neighbor K got the bigger one, called “Holy Moly.” She likes that hot stuff. 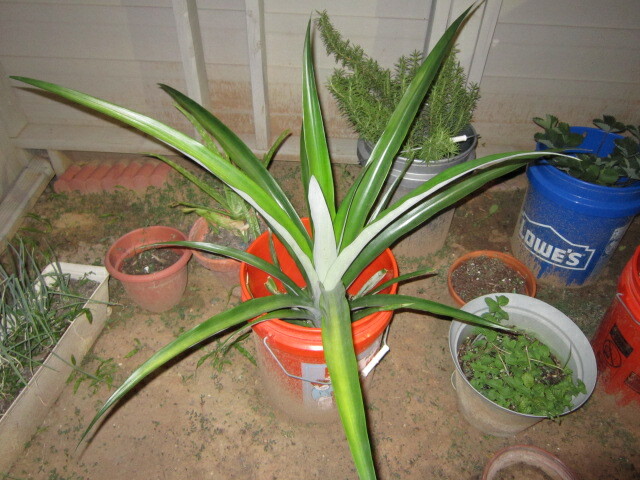 I have a smaller one, and I should put it into a bigger pot, but I haven’t done that yet. The lettuce experiment has ended for the time being. It is, as they say in TV, “on hiatus.” In last week’s gardening lecture, it was mentioned that lettuce is. . .a winter crop. 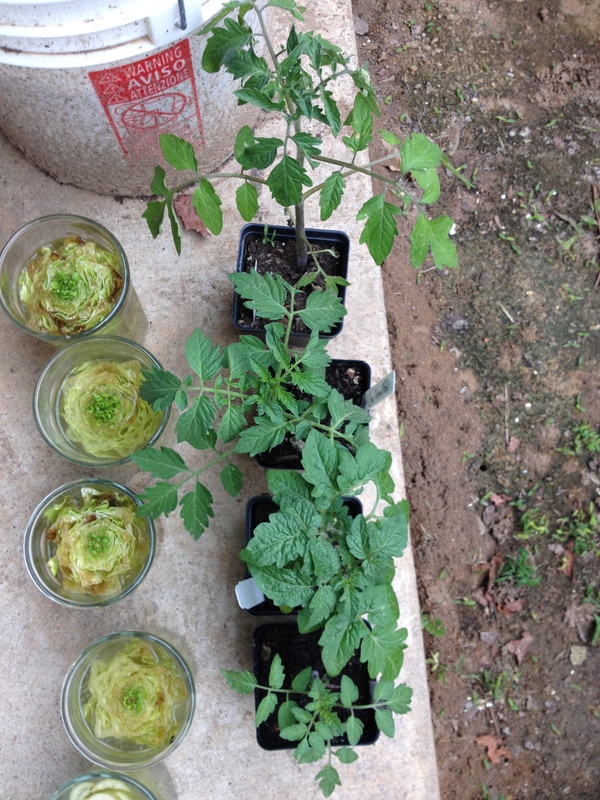 With tomatoes being a primarily spring/summer crop, how lettuce and tomato became a common salad, I dunno. What really irritated me was that the last stub that Neighbor K gave me shot up to a foot high–I even wrote about it. Later in the afternoon, the really tall leaf was broken in half and hanging down to the soil. 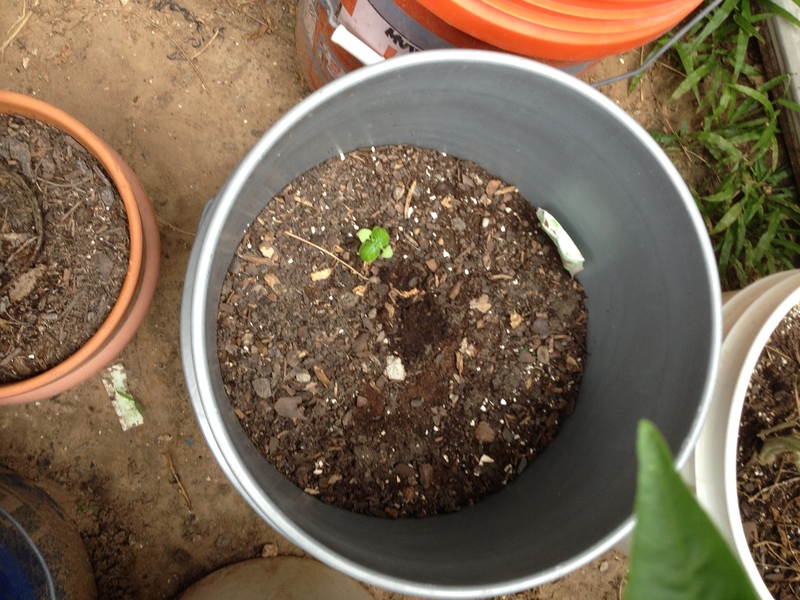 What I figured out was that some nasty worm got in it and ate the leaf at the halfway point, causing it to bend. I trimmed it, and continued to water, but it finally dried up and that was it. I planted the rest of the basil seeds last night. Darnit. I’ll try again in a couple of months when the temperature goes down. They’re coming, soon, I guess. More flowers, but no tomatoes. Yet. 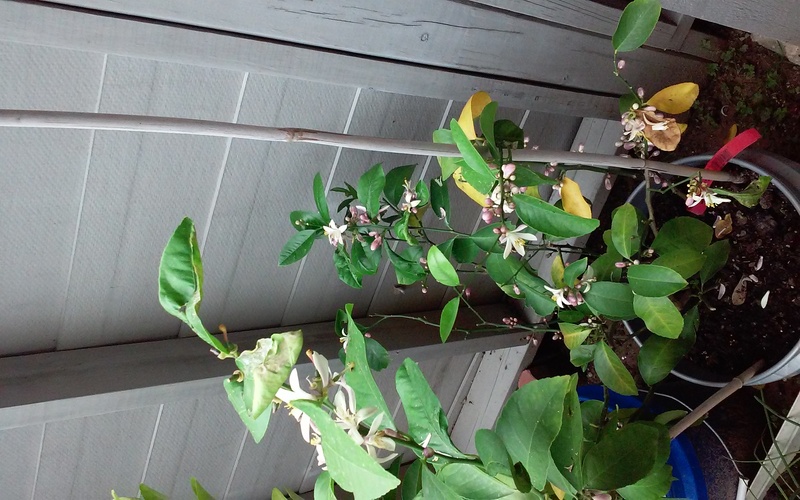 I’ve harvested all the Anaheim/Hatch chiles, but there are more flowers and more peppers behind them. I’ve got to go on Central Market’s website and find some recipes to use them up. Weird, yes, but it will be delicious. I plan on leaving it on the plant until it turns red. I like red bell peppers. 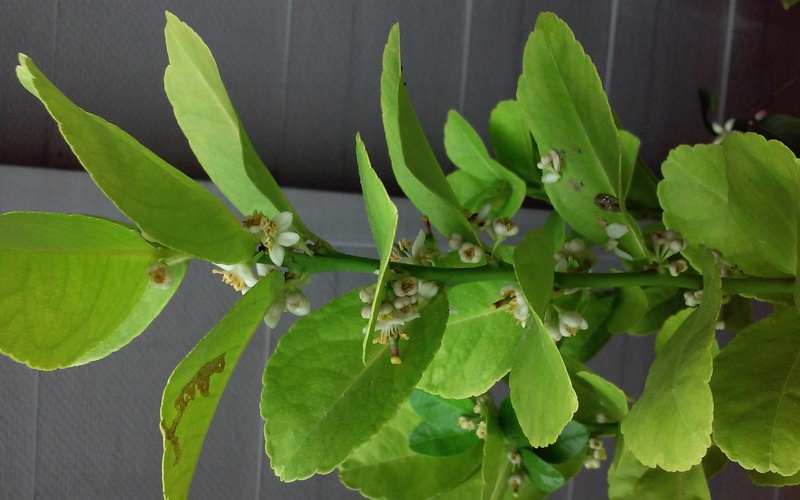 I think the last lime count was 9. For whatever reason, these two seem to be ripening before they’re finished growing. 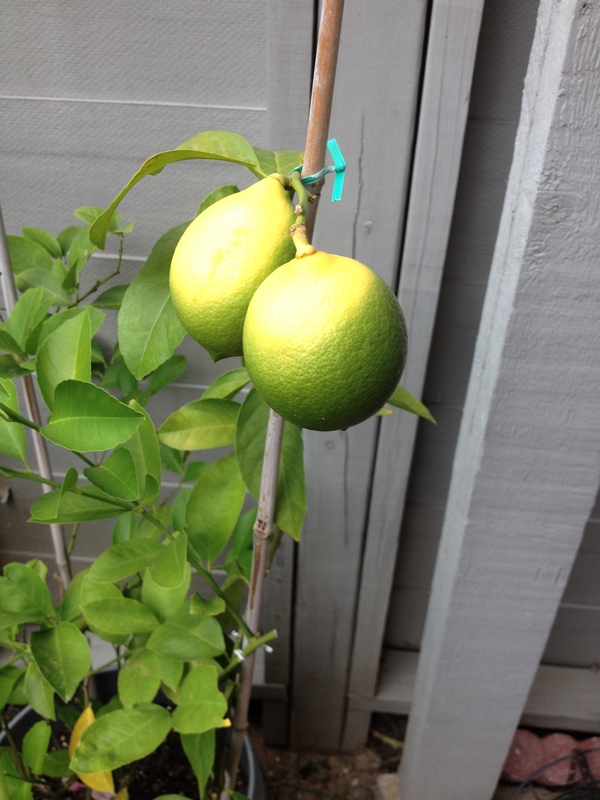 Last year, I got four, they became the size of grapefruits, THEN they turned yellow. These are the size of lemons you get in the grocery store, and there are no more flowers. 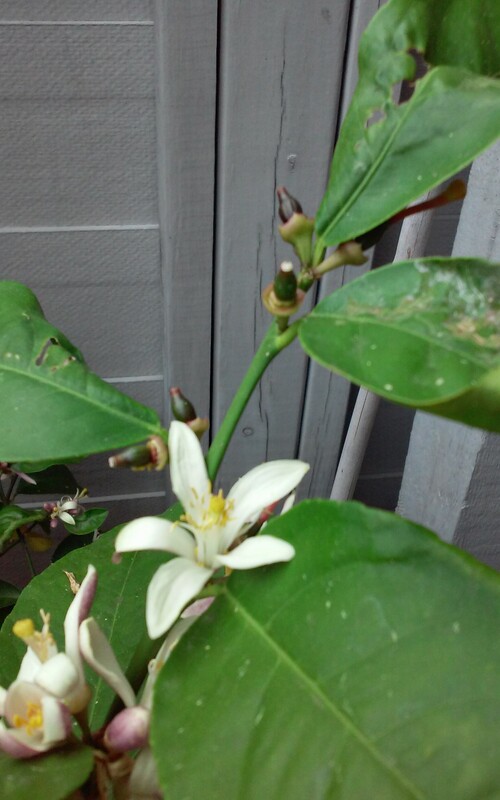 I’m guessing this is all I get in the way of Meyer lemons this year, but we’ll see. The basil I already had growing. 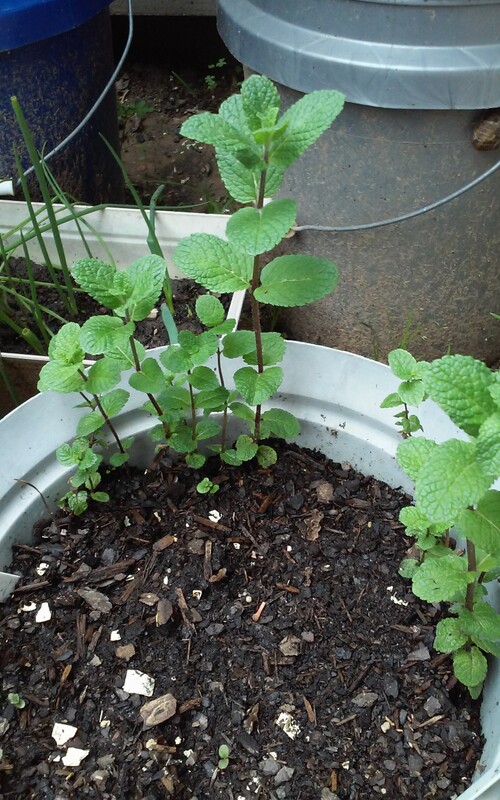 Mint and celery are doing pretty good, too. So I think you can guess what happens next. Yes! I made more PESTO!! (Can you tell that makes me happy?) 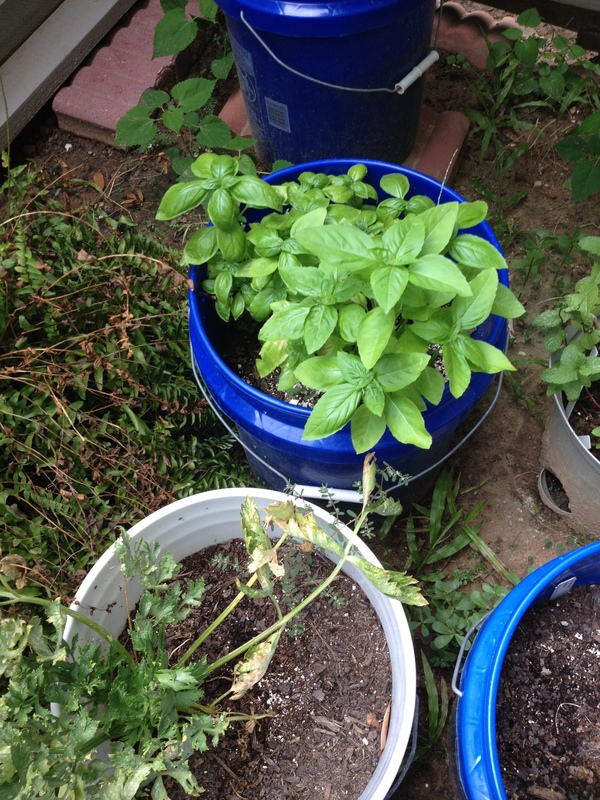 I went out and whacked down almost all of that basil, and brought it inside. If you’ve never seen pesto being made (or have no idea what it is), I’ll walk you through it. 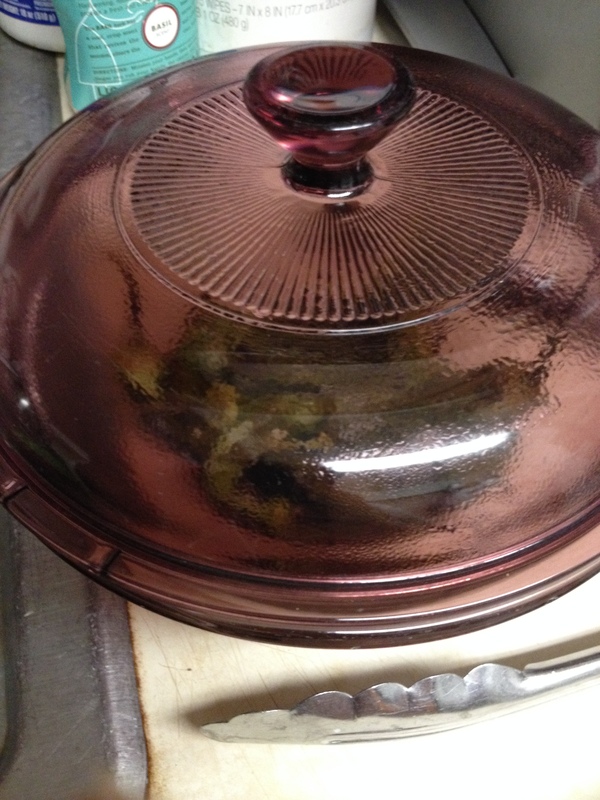 I also ran them in the salad spinner, then dried them best I could with clean, dry dish towels. 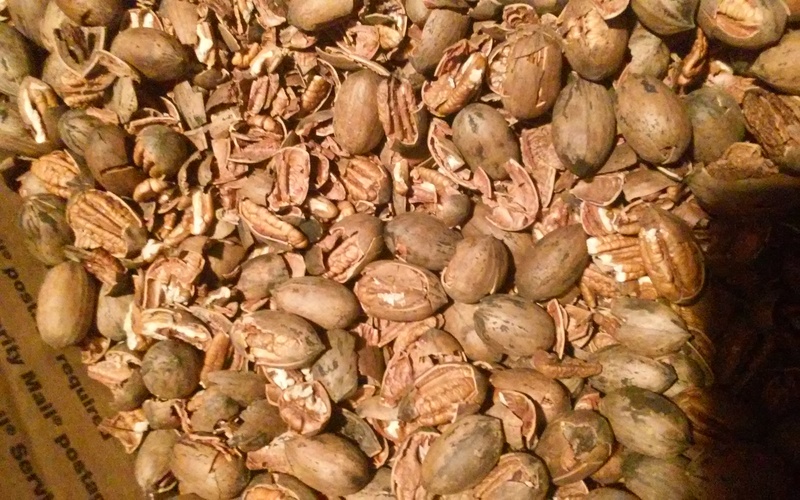 I toasted up some pine nuts and put them in a cold bowl before I started the rest of the process. My newly refurbished blender performed perfectly! This was extra-virgin olive oil from Trader Joe’s. EVOO is best, since it has that potent olive flavor. Pesto! But it’s not yet finished. Now it’s finished. Just mix. My last batch of pesto was made just in June, and the prior batch, which I’ve used once for Pea Pesto Soup, was made back in September of 2014. By planting the rest of the organic basil seeds, I hope to make at least one more, and hopefully, two more batches of pesto for the winter. Now–who wants pizza? No, Don’t call Papa John’s. . . Someone posted the video for this on Facebook last week, and I just HAD to try it out. I did–twice. Yesterday, I made it a second time, mostly to take pictures and report on it, and partly because. . .I wanted some. Now, when you say you want this pizza, you have to plan ahead, OK? You soak the quinoa overnight; Sunday’s was 24 hours, and it seemed to taste a little better. So here we go. You may be thinking to yourself, “Amy, why did you buy Monterey Jack cheese for a pizza?” Simple–when I was in Target, I saw a block of white cheese with an “M” on the wrapper and grabbed it. I didn’t actually READ it. It wasn’t bad, actually–but the second incarnation yesterday actually had Mozzerrella cheese on it. 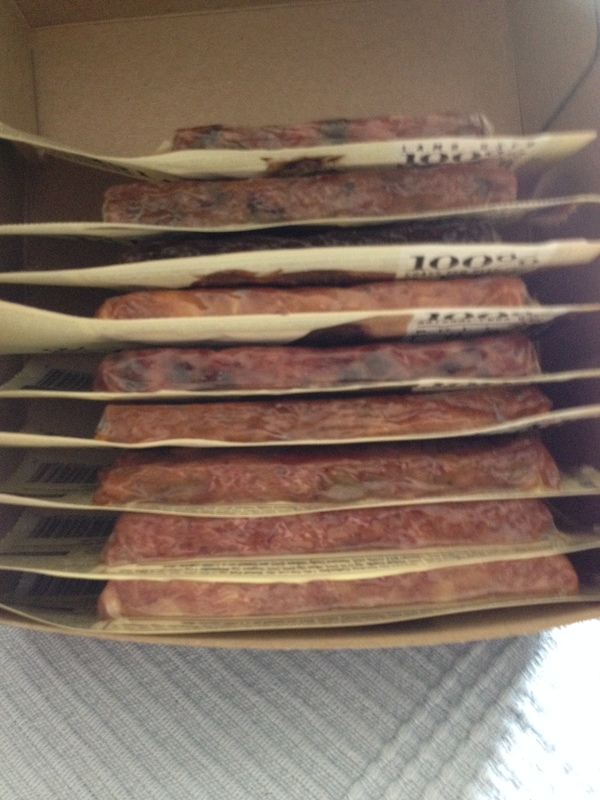 I bought this sausage at Cost Plus World Market, and it’s pretty good. I had a $10 “shopper’s coupon,” so I went back for more, plus a few other things I needed. 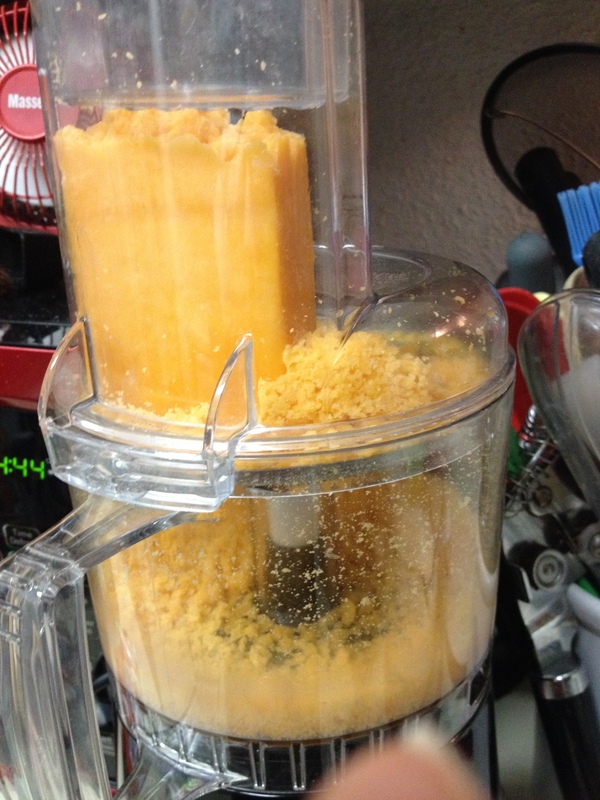 This small food processor uses the blender’s motor with a gearbox on top. Yes, that’s what it’s supposed to look like. Careful with the crust at this stage, it’s still kind of mushy inside. A big spatula works best. Flip the crust, remove the paper, and put it face down back into the cake pan, returning it to the 425F oven for 5 to 10 more minutes, until the crust is browned and golden. Not thin, but not real thick, either. Essential toppings, with an ice cream base cooling in the white dish on the back burner. Classico’s is pretty good and easy to find, but I didn’t think to make my own. Next time. This one has the *right* cheese on it, OK? Bake it for just a few more minutes at the same 425F until the cheese is melted. If you want to add other meats (ground beef, raw sausage) or veg, like mushrooms or bell peppers, you should cook it ahead. You’re not cooking it, at this point, you’re just melting the cheese. The OXO 4-inch pizza wheel, which I gave her, originally. Truth to tell, hot out of the oven, I immediately cut one of those four slices in half, and brought some to Neighbor K and her significant other, and that piece you see cut on the right was rushed over to Neighbor R. K and R are the official HeatCageKitchen taste testers, and I only asked for their opinions in return. R must have been hungry, because she gobbled that slice right up–she said she loved it! I got a text from K later that she loved the pizza too–so two thumbs up from the taste-testing team. What about K’s boyfriend? “He doesn’t eat healthy food.” Oh, well. And I had the rest of it today. The pizza is gone, but I can always make another one. It just takes a bit of advanced planning. Now I also want to warn you about something that Cooking Light doesn’t mention. Because of the carbohydrate nature of the pizza, you may very well fall asleep if you eat more than one or two slices. Honest. Last week, when I tried it the first time, I was thrilled at the result and gobbled up a third slice. This was in the afternoon, like 5 or 6 pm. A little while later, I found myself needing a nap, and had to crawl to the futon where I passed out cold–I couldn’t help it. I woke up when the phone rang about 7:30, and I didn’t want to answer it until I saw that it was friend of the blog AK, calling from Ohio. (THEN I was happy to answer it.) I strongly suggest having some protein with it, or at least a good salad to offset the sleepy effect you might get. Yes, it’s good. Yes, it’s gluten free. Yes, it’s fussy, but it’s really worth it. Remember, too, that it will NOT taste like wheat. It will not taste exactly like Papa John’s, Domino’s or DiGiorno pizza. Ever. But if you like quinoa (and I do) this is a nice alternative, especially if you have to go gluten-free. I’ve added the recipe for this pizza crust and my favorite pesto to the recipes page so you can reference it easily, and if you like, print a copy for yourself. Credit is given, of course, and the pesto is from Giada de Laurentiis’ first book, Everyday Italian. I’ve used it for years and it works perfectly every time. 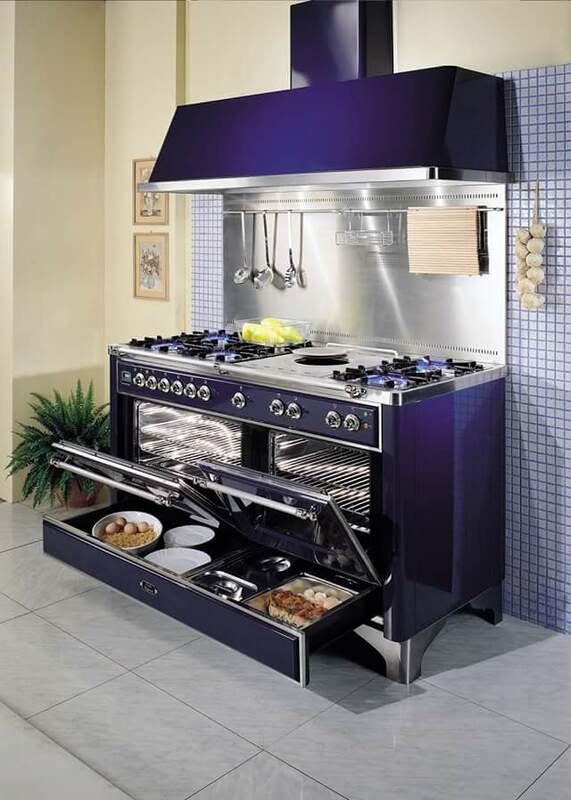 So. . .it’s not for a big family, and if you have a toaster oven, this is the perfect project for it. Remember that you have to soak the quinoa for at least 8 hours; I recommend the full 24 hours, because it seemed to taste better. 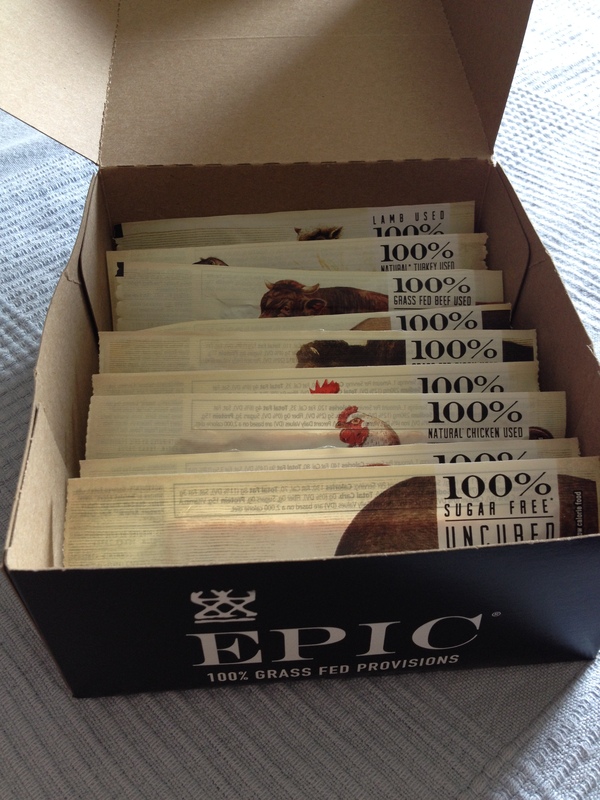 Plan ahead, and you and your friends or your SO can have some gluten free pizza soon. Posted by Amy on July 28, 2015 in Fast & Easy, Fresh from the Garden, Gluten Free, Ingredients, New Trends, quinoa, Special considerations, What's for Dinner? You know, sometimes we get ideas that seem like they’ll work, until we try them. Sometimes those ideas stay in our heads for years before we finally get around to trying them. Sometimes they work. Sometimes they don’t. But you never know until you try, right? Take my favorite coffee flavor, Chocolate Raspberry. I had the idea to make cappuccino and flavor it with chocolate and raspberry. It was gonna be great! Well, I tried it this morning. . .it was OK. Nothing special. The espresso overpowers the flavors, at least, these two. It works out well with the hazelnut flavoring, though. Maybe I’ll give it some more thought. Well, I had to do it. 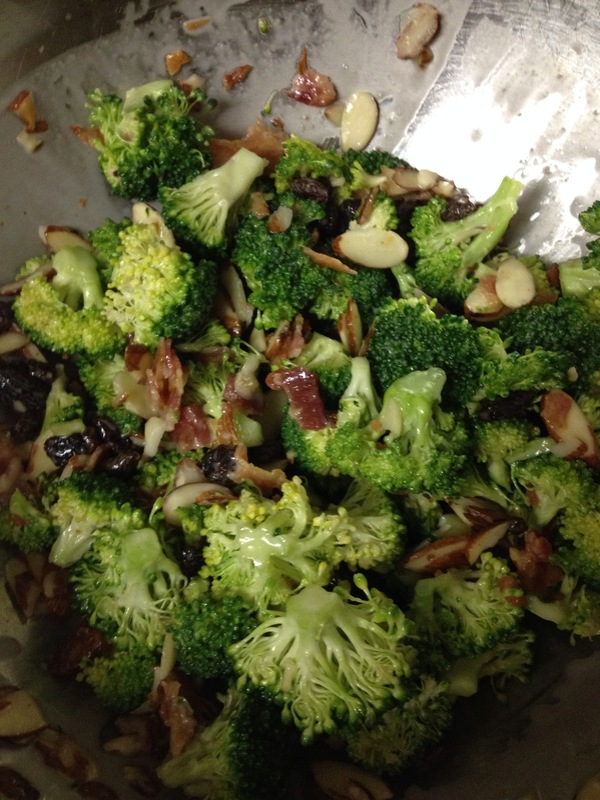 Tonight I made some of that delicious Fall Broccoli Salad I told you about, via The Texas Pioneer Woman. Since I live in a Houston suburb and not on a working farm (yet), I went to Target to get the ingredients. That’s OK, they had everything I didn’t. Oh, yes, oh, yes, oh, yes! Now, I hope Janette (aka The Texas Pioneer Woman) doesn’t mind, but I made it just slightly different. Partly because I forgot to put a little onion in it. But I’m getting tired, so I forgot. I was going to “do it later,” but you know how that goes. The other thing I changed was the dressing. I did use the vegan egg-free mayo I wrote about last week, primarily because it tastes like the real thing. (I taste-tested it first with the end of a spoon, of course.) I just didn’t feel like making my own mayo, so I used the Just Mayo. Of course, it’s an 8 ounce bottle, and the dressing takes half a cup. I won’t use the rest of it quite so fast. I also used Bragg’s apple cider vinegar instead of the white vinegar, (not quite as sharp) and instead of white sugar, you know I used. . .Somersweet. Now I did have to cook up some bacon, so I did the easy way–in the toaster oven. On a cooling rack in a baking sheet, 400 degrees, and watch it, because it can burn pretty quickly and then you have to start over. I had to cook the bacon in two batches, though. A side note: if you’re thinking about getting a countertop (aka toaster) oven, let me put this bug in your ear: 110v vs 220v. If you’re going to do what I do with it, make sure you get one that’s big enough to roast a chicken in and has a nice sized broiler pan. Don’t get one that doesn’t do more than toast bread and Pop-Tarts. After I chopped all the broccoli and washed it, I left the colander in the sink to drain a bit more. I mixed up the sliced almonds and raisins in the big mixing bowl, then mixed the dressing. Once the bacon started crisping, I took it out, let it cool, then crumbled it all up in to the almonds and raisins. 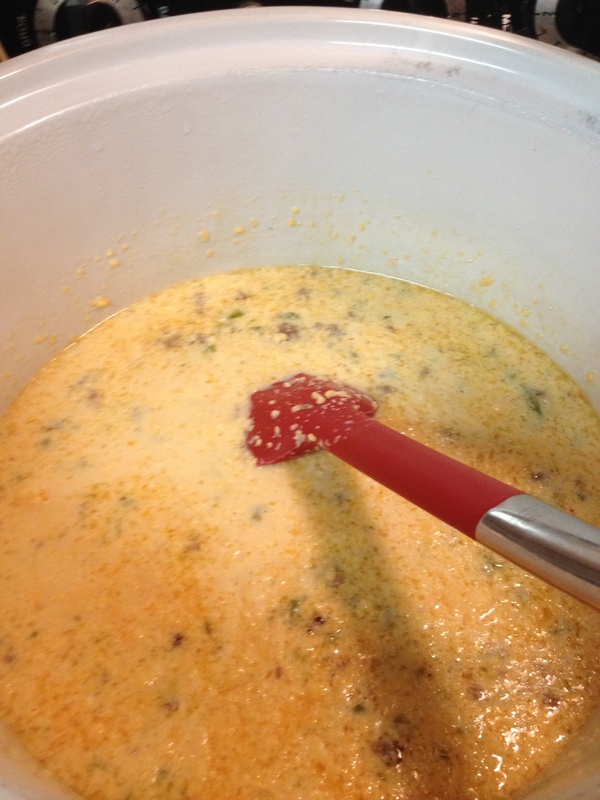 When the bacon was all done and crumbled in, I dumped that into the dressing bowl and mixed it up with a spatula. Then I shook out the broccoli one more time to get out as much water as I could, added it to the big bowl, then dumped the dressing mixture into the broccoli,, and started mixing some more. I’ll try it once with the onion, maybe some green onions from the back patio, but I’m tellin’ ya, this was WAY TOO GOOD!! I texted Neighbor K to see if she’d like some for lunch tomorrow, but she didn’t answer, so I’m guessing she’s already hit the sack. I packed it up in containers and stuck it in the fridge. When she reads this she will secretly be mad that she missed out on a healthy salad with bacon in it. But this weekend, Neighbor K will have the recipe to make it for that big, tall boyfriend of hers, and maybe even give a little to Daft Pug. This weekend would be a good one to make this salad for family and friends, or if you’re like me, just yourself. But go try it, because it’s pretty easy and the flavor is well worth the bacon cooking. I wonder if the Gomez Family Farm hosts vacationers and wanna-be cowboys. If I ever have the chance, I’m going to go on a vacation somewhere that I can do that. But don’t look for me to attend rodeos, OK? I’d rather go see Def Leppard or find myself at a jazz concert. Make some of this salad this weekend for you and yours. 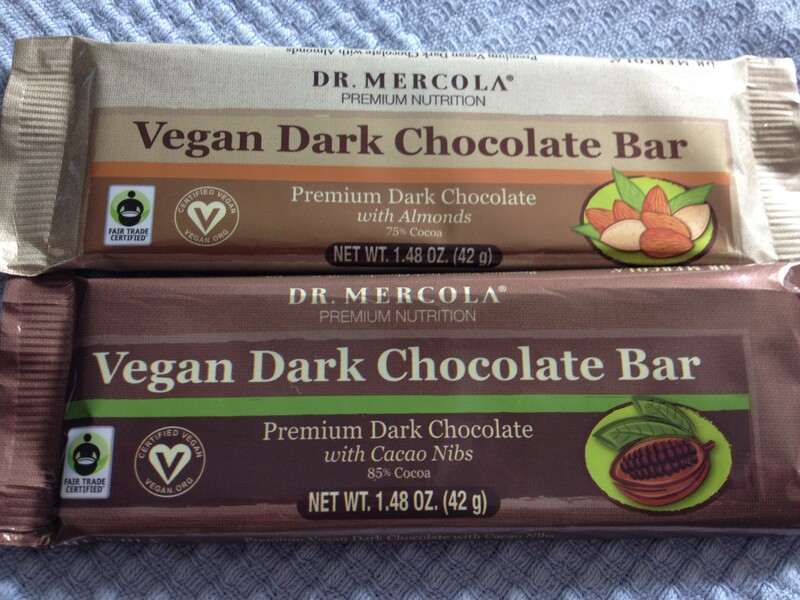 It’s delish, whatever you sweeten it with.